We’re always growing & we’re honored to add more incredible families into the TRF fold. Here are a few stories that reflect the impact your support makes on these amazing people. 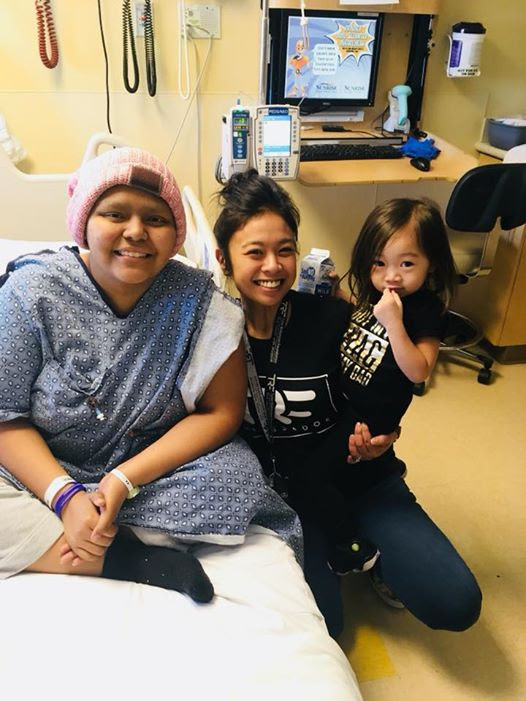 Delilah, the lovely 16 year old from Las Vegas splits her treatments between Vegas and UCLA. Her strength has been tested but she comes back stronger and more determined to continue this battle. 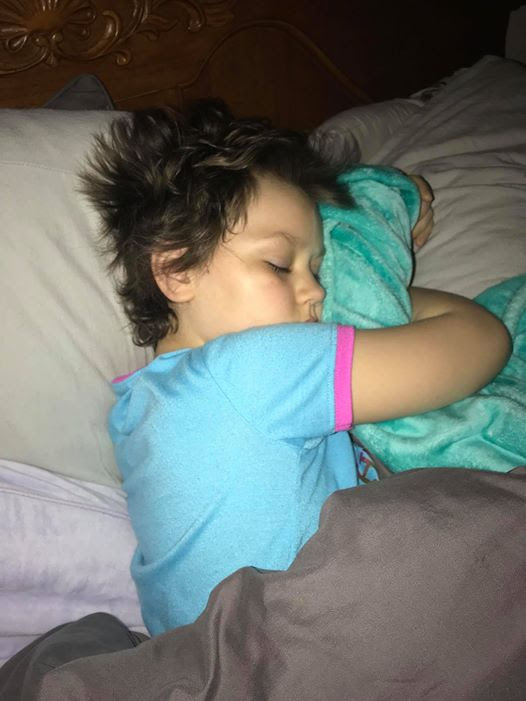 Deliliah had chemotherapy recently and even though she was sick for 9 days after, she showed incredible strength. She’s admitted to the hospital for every chemotherapy treatment. Her doctors, nurses, and family are pushing through to finish the last 4 months of treatments. It’s hard at times, but the Juarez family is staying very positive. Savannah, a spunky almost-8-year-old from Washington was treated at Seattle Children’s Hospital for Leukemia from 2012 to 2015. Unfortunately, Savannah relapsed and cancer came back into her skull and spine in April of last year. Her mother had to quit her job and goes between home and the Ronald McDonald House in Seattle. TRF has been helping the family financially as they fight this second round of cancer. Savannah loves Girl Scouts, American Dolls, gymnastics, and snuggling with her family. Above you see a photo taken TODAY as Bradley’s mom was able to visit with some of the TRF team. 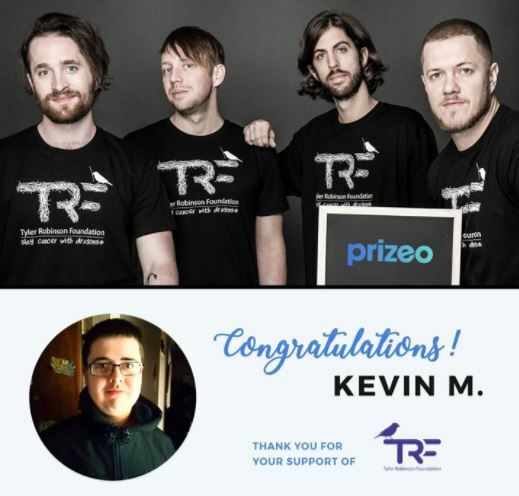 Our recent Imagine Dragons & Prizeo campaign created a lot of buzz and raised almost $93,000 thanks to supporters like Kevin. He’s heading to the Imagine Dragons show in Barcelona next weekend as a VIP – with flights lodging, tickets, and even dinner and shopping pre-show at Hard Rock. TRF is proud to announce that we’re a charity partner for EMERGE, happening next weekend in Las Vegas. 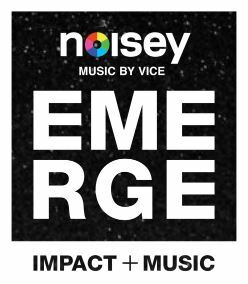 Emerge is more than concerts – it’s 3 days of new music, new ideas, and a non-stop celebration of everything that makes you unique. Discover your newest passion, meet your next collaborator, and populate your next year’s playlist. 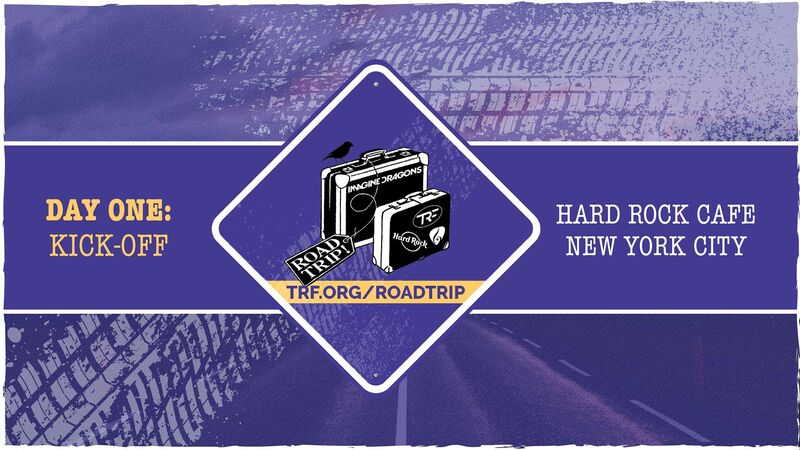 Operation: TRF Road Trip is a 2018 fundraising and awareness adventure to help families on the East Coast as they fight pediatric cancer. 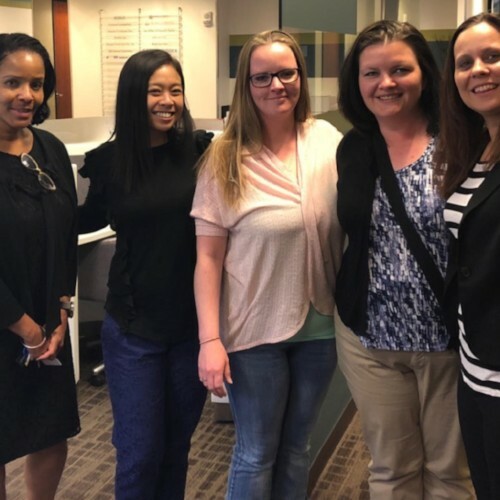 With stops at 6 new partner hospitals, TRF will deliver grants to deserving families along the way while highlighting some of our best everyday heroes in social work and community fundraising. 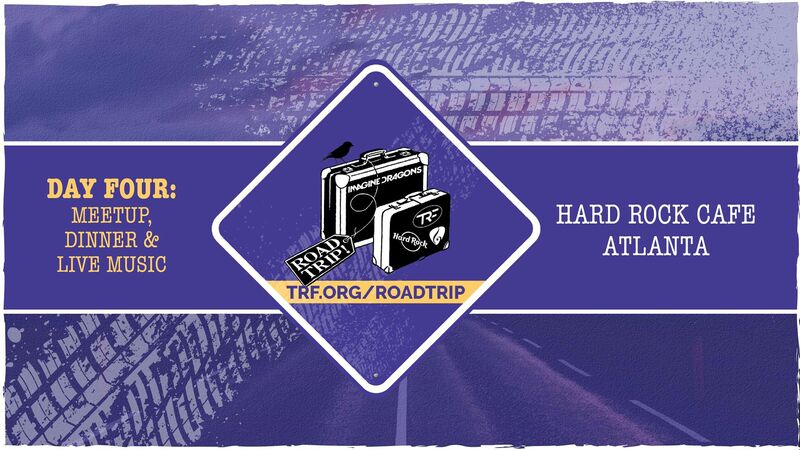 TRF will also be hosting meetup events at all the Hard Rock Cafe locations along the route! 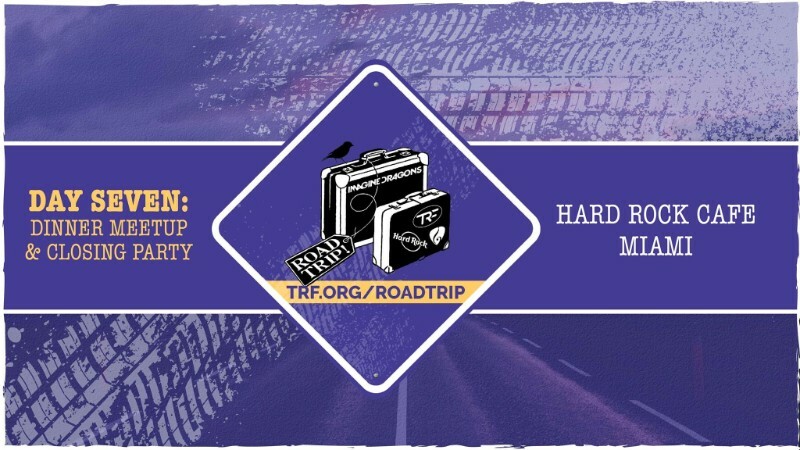 Our Philly and DC events are smaller and for our TRF Families and partners, but if you’re near NYC, Atlanta, Orlando, or Miami – PLEASE JOIN US at our Hard Rock Cafe Meetups. Join us for our KICK-OFF LUNCHEON in a private area at the Hard Rock Cafe, Times Square in NYC. Come meet the Robinson Family, members of the TRF Team, as well as some of our TRF Families. A lovely and delicious buffet lunch will be provided by our friends at Hard Rock. ONLY 75 SPOTS AVAILABLE and these spots will be sold at the door, first come, first served, for a $10 CASH DONATION (that also gets you a raffle ticket). The event begins at 11am on 4/22. Join us to learn more about TRF. The raffle prizes include TWO TICKETS to the Imagine Dragons’ show at Madison Square Garden in June, as well as signed Imagine Dragons’ and TRF swag. Doors open at 6:30pm and the show starts at 7:30pm. Ticket prices: $10 advanced / $50 tables / $12 day of show. Join us to meet Team TRF as well as some of our amazing TRF families. Stick around to grab dinner and drinks & enter the raffle for signed Imagine Dragons merchandise and TRF swag. Join us at the Hard Rock Cafe at Universal City Walk for an open-house style TRF Meet-Up. Our friends at Hard Rock have set aside their private Roots of Rock room beginning at 6:30pm. Join us to meet Team TRF as well as some of our amazing TRF families. 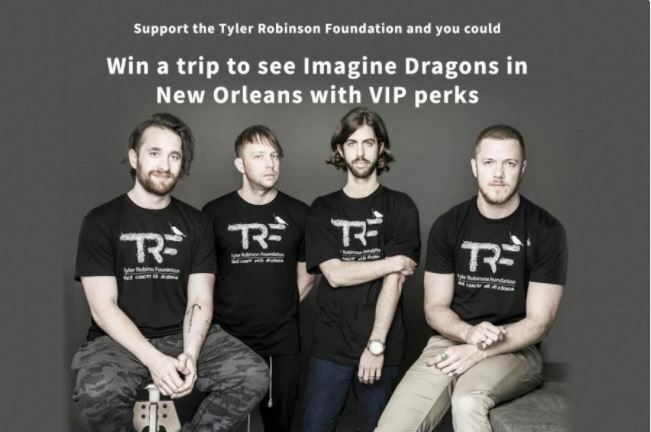 Stick around to grab dinner and drinks & enter the raffle for signed Imagine Dragons merchandise, TRF swag, and 2 tickets to the Imagine Dragons’ concert in Tampa. 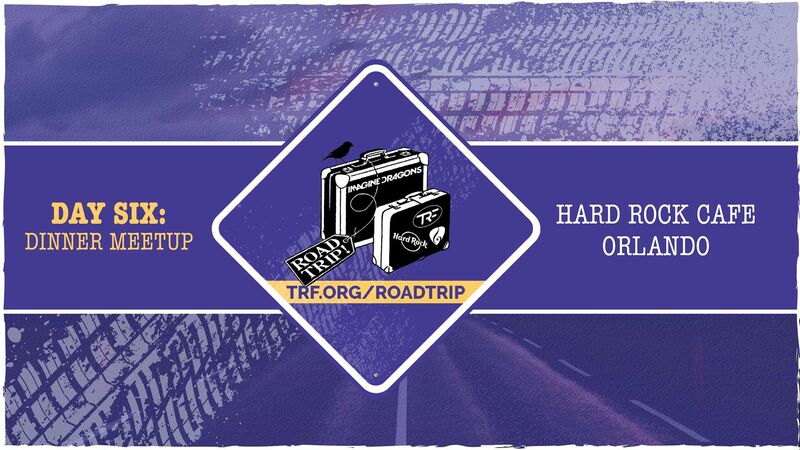 Join us at the Hard Rock Cafe Miami for an open-house style TRF Meet-Up. Our friends at Hard Rock have set aside their private Sanctuary room beginning at 6:30pm. Join us to meet Team TRF, members of the Robinson Family, as well as some of our amazing TRF families. Stick around to grab dinner and drinks & enter the raffle for signed Imagine Dragons merchandise, TRF swag, and 2 tickets to the Imagine Dragons’ concert in West Palm Beach. TRF.org is provided courtesy of O.Berk Company. The O.Berk Company is a leading supplier of both custom and stock packaging. The strength of our company lies in providing innovative and timely packaging solutions. However, we never want to lose focus of our sense of duty to those who need help. It is our privilege to assist the Tyler Robinson Foundation with their noble cause because it’s the right thing to do and that’s exactly who we are. © 2016, TYLER ROBINSON FOUNDATION, INC. ALL RIGHTS RESERVED. 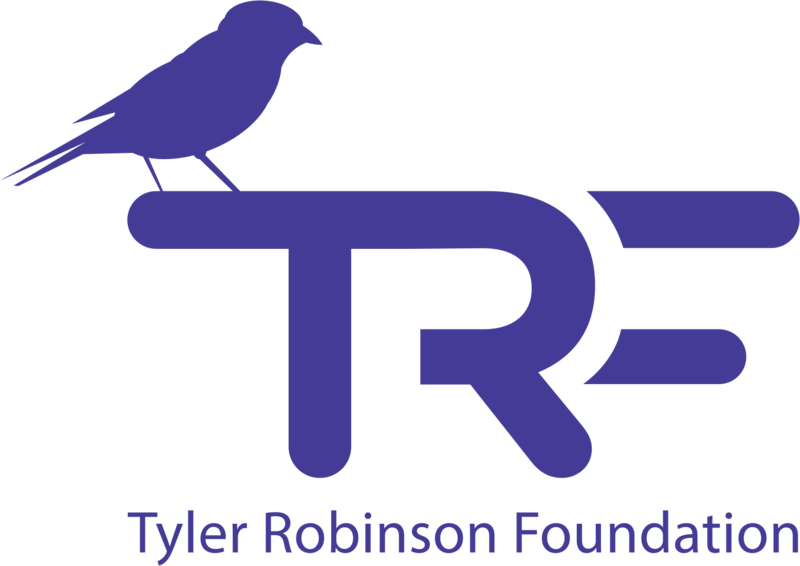 THE TYLER ROBINSON FOUNDATION IS A QUALIFIED 501(C)(3) TAX-EXEMPT ORGANIZATION.